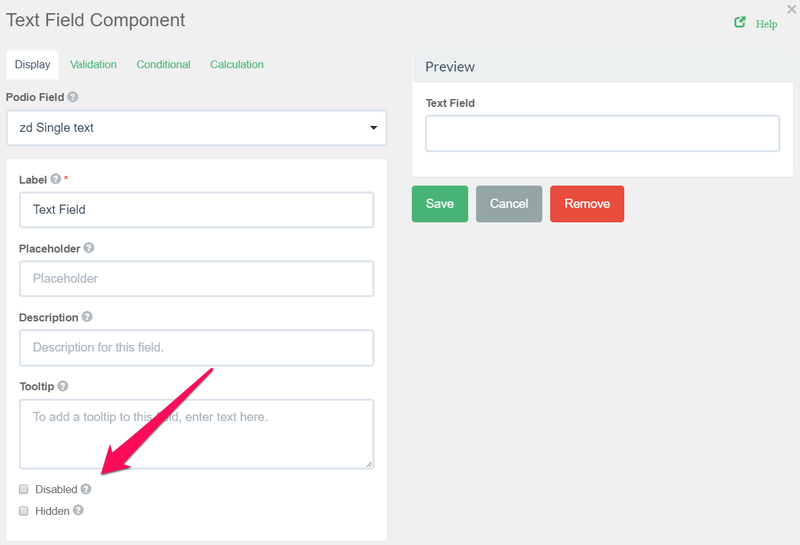 To disable or hide an input field, open the settings of the form component and check the disable or hide option. Disable: Will disable the form input. Hide: A hidden field is still a part of the form, but it is hidden from view. Disable: Show data from an existing Podio item to the end user, but prevent that the end user can edit the field. Hide: "Secretly" update a Podio field when an end user submits a form.